﻿ Hotel Europa City, Berlin | FROM $30 - SAVE ON AGODA! Have a question for Hotel Europa City? "Hotel has seen its best days but rooms are quite spacious, staff is friendly and breakfast good though crowded." "Big rooms, old furniture, small bathroom, poor tv (a computer monitor), good breakfast, near metro station, in a quite area." 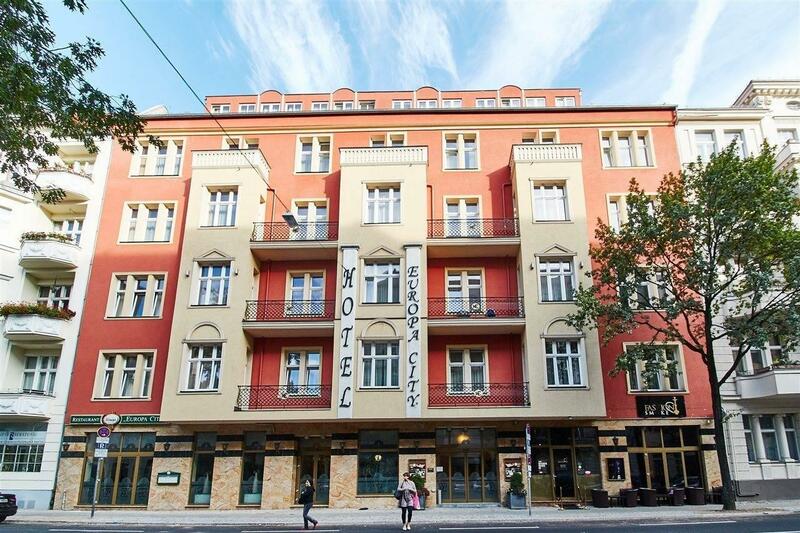 "Pros -Great location -Lovely staff "German humour" -Great br..."
Built in 1960, Hotel Europa City is a distinct addition to Berlin and a smart choice for travelers. Situated only 0 km from the city center, guests are well located to enjoy the town's attractions and activities. No less exceptional is the hotel's easy access to the city's myriad attractions and landmarks, such as Kunert, Nanos, Absolut in Mode. 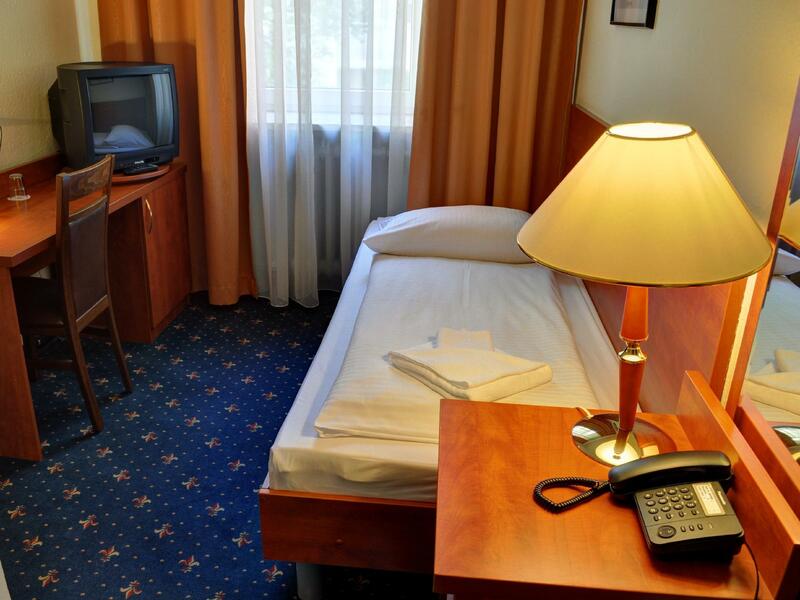 The facilities and services provided by Hotel Europa City ensure a pleasant stay for guests. Guests of the hotel can enjoy on-site features like free Wi-Fi in all rooms, 24-hour front desk, express check-in/check-out, luggage storage, Wi-Fi in public areas. The hotel features 65 beautifully appointed guest rooms, many of which include television LCD/plasma screen, internet access – wireless, internet access – wireless (complimentary), non smoking rooms, heating. Besides, the hotel's host of recreational offerings ensures you have plenty to do during your stay. When you are looking for comfortable and convenient accommodations in Berlin, make Hotel Europa City your home away from home. "The rooms are of good size with comfortable beds and a moder..."
This hotel was exactly what we needed. Very central for designer shop area and hop on - hop off bus in Berlin. Hotel very basic but very warm , clean and comfortable. Staff were very friendly and breakfast was adequate. The only thing I would like next time was perhaps coffee- tea facilities in bedrooms. A wonderful stay and absolute value for money . We enjoyed our stay at Hotel Europa City. Staff were helpful, and the hotel was clean and functional. i thought the location was very good, so close to bus and ubahn. It is directly on the bus route from Tegel airport the 109. That was welcome. the rooms are have high ceilings and feel spacious, and the hotel feels old. the rooms are 'old fasioned'. Bed was comfortable and there was a decent sized TV in the room with some satelite channels. Bathroom facilities were fine. the one thing i missed about the room wqas there was no kettle or tea making facilities. there were plenty of restaurants and shops within walking distance of the hotel, and everywhere in the city was within easy reach using public transport. Breakfast was basic but well stocked. there was cold section of cheese and meats, bread and cereal. there was also hot food, eggs, and sausage and kind of pork dumplings. A good start to the day. My room was on the top floor there was an old elevator, spacious room and huge bathroom. Bus and trains stations nearby. Near famous shopping street. It was the perfect combination of price and quality. The location is excellent, walking to reach Zooparka, there is an excellent transport interchange. Quiet, excellent breakfast, good rooms, we liked everything.Far from the city center, but near one of the main streets, which will start bus tours of the city and the zoo. From his transport goes to all corners of Berlin. Highly recommend. thank you for the varied breakfast with good quality food! the rooms are large and comfortable and the surroundings are really nice. City Europa is really a classy old-school hotel at an affordable price. Staff are friendly, and it's smack in the middle of Charlottenburg. The wifi is sketchy, but even that can be a good thing, as it pushes you out of the blogosphere, back into the real world! The most wonderful merit of this hotel is free breakfast service. Every morning, I was fully satisfied. Also, bus stops are near. The only thing that I was disappointed was poor wi-fi service. Instead, I just used my data. Although I will visit this hotel in next traveling. Hotel has seen its best days but rooms are quite spacious, staff is friendly and breakfast good though crowded. The hotel is situated close to the Ku-Damm and the underground. Although a budget hotel an excellent breakfast is included. The rooms are of good size with comfortable beds and a modern small shower room. Very clean hotel with friendly and efficient staff. Lift very small. Breakfast close sharp 9.30. irrespective of the guests were eating. Staff attitude in the restaurant not much appreciated..
Big and clean room, good beds, nice staff, good location. Pros -Great location -Lovely staff "German humour" -Great breakfast -Good value for money Cons -Breakfast missed fried bread which is the best. Nice hotel. I come there at night to check in, there was no problem there. On the next day, I was not satisfied with my room. They change my room on my request. Most of all I like breakfasts there, especially for the price I paid for staying there. I guess there are many other nice hotels in Berlin, but this one is defensively a secure option.